Early training in music and theater led Paula K. Parker to a life-long love for the arts. This passion eventually brought her to Nashville, TN, where she – along with her writer husband, Mike – helped establish local community theaters, Carpenter’s Playhouse and LampLighter’s Theatre. Since 1995, Paula has been a professional freelance writer, with more than 1000 articles, sketches, plays, scripts, corporate copy-writing, nonfiction books and novels to her credit. 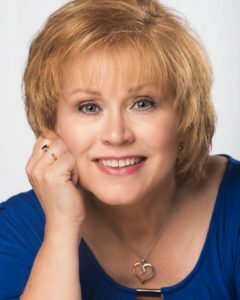 She has written for such national publications as Christian Single, Christian Health, Clarity, Family Fun (Disney), Citizen (Focus on the Family), HomeLife, Living with Teenagers, the National Drama Service, ParentLife, Release Ink, PB&J, Profile and Bible Express magazines. She contributed to The Young Believer’s Case Files with Stephen Arterburn (Tyndale), Thomas Nelson’s award-winning Thomas Nelson Bible-zine, Becoming and their American Women’s Bible. Online she has written for Crosswalk.com and was a contributing writer for the entertainment page at LifeWay.com for over twelve years. She is the Senior Editor for the online entertainment magazine, BuddyHollywood.com. Since 2013, she has written curriculum for the WinShape summer camp program. Paula co-authored YHWH: The Flood, The Fish & The Giant and YESHUA: The King, The Demon & The Traitor with New York Times Best-selling novelist, GP Taylor. Her Biblical, Sisters of Lazarus: Beauty Unveiled cracked Amazon.com’s Top Ten in the Biblical Fiction category. As an accomplished playwright, Paula has written numerous short sketches, One-Acts and full-length plays, including The Sam Jones Story, a historical play commissioned by Nashville’s Summer Lights Foundation. She is perhaps best known for her smash hit stage adaptations of Jane Austen’s Pride and Prejudice, Jane Austen’s Sense & Sensibility, and Jane Austen's EMMA, which have been performed by theatre companies across the United States and around the world. To learn more about Paula K. Parker visit her online at www.paulakparker.com.